Tops and tails are the hard parts of fruit and vegetables that we throw away. Next time a South African tells you they cannot afford food on the table, tell them to empty their rubbish bin and find out what goes out in it. Much of the stuff we turf out can be recycled. We just need to learn to think differently. We can save money by recycling. It is also good for the environment. Every time Eskom does its thing, we end up using up a pack of candles. Well almost. There is always a stumpy bit left that we either cannot get to burn, or that casts too little light to be of any use. So, we throw it away. And then, we go out and buy tea light candles at R2 each for those romantic evenings. Stubs of candles fit perfectly in tea light holders, particularly if you secure them with a little melted wax. I bet you never thought that you could get your tea light candles free. When I was a kid, my Ouma had the best sword ferns I have ever seen. The fronds were perfect, and had a dark green sheen. In fact, they were twice as long and fat as the ones in nursery gardens. Would you like to know her secret? 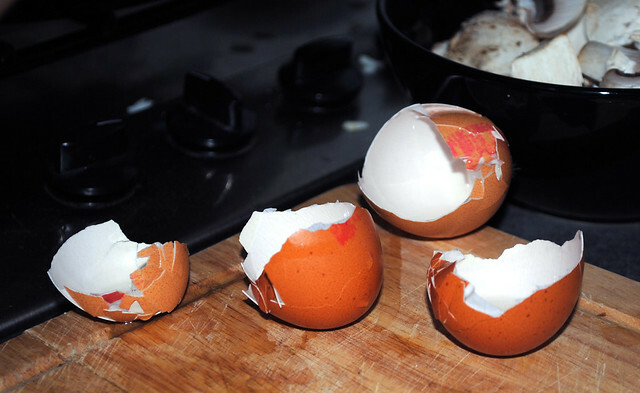 She ate a boiled egg every morning, and kept the shells in a bottle filled with water for a month. Then she used it to fertilise her sword ferns. There is one more thing you need to know. The water stinks. Keep the cap on the bottle. You have been warned. Have you noticed the trend in dishwashing liquid lately? Sunlight is getting thick again, so that there is always something left in the bottom of the bottle. When the kids rinse a glass, they squirt far more into it than they actually need. I am not accusing Sunlight of anything. Just mentioning the spout design helps this happen. Do not waste the dregs. When there are about two centimetres left, fill the bottle up with warm water and shake it up. A tiny squeeze is perfect for rinsing plates. That is another great saving from SurveyCompare. I wish I had a Kentucky Chicken leg for every piece of iron lying in the countryside. I would certainly not eat them all. In fact, I would probably donate them to poor people living in squatter camps, so they could have a decent meal and feel good about themselves again. Most South African yards have rusty fence poles and broken washing machines where there should be lawns and gardens. Contact your local recycling yard. You could get a nice surprise! Aluminium and stainless steel are particularly sought after. Nothing is wasted on a farm and neither should it in your kitchen. Leftover fresh fruit and veg, and peelings should go into the compost heap so you do not need fertiliser next season. The fatty bits you cut off raw meat and fish and chicken are great for adding variety to the dog’s meal. No more than 10% though. Do not overdo it. The same goes for scrapings from the dinner plates. You could end up using one less black bag a week for household rubbish and that is more money saved. Do not dare to chuck perfectly decent cooked food away! Those folk scratching through your rubbish on the pavement are starving. Buy a pack of those plastic cake containers the supermarkets bakeries use (a hundred cost you next to nothing) and packs of plastic knives and forks and spoons that cost you even less. 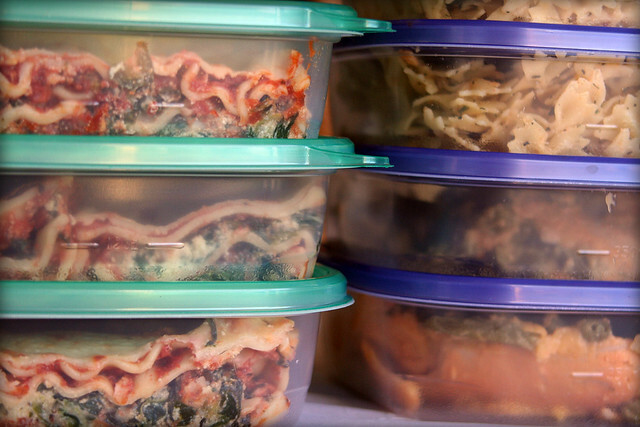 Next time you have some quality cooked food left over, put it neatly in a cake container plus a set of cutlery. Present your gift to the next beggar that you see. Make your surplus, a gift of love. For fans of Coca-Cola, there is nothing worse than when it has lost the bubbles that give it zing. However, you can still make sticky chicken with it. Put eight assorted thighs and legs into a heavy-based pot. Mix ¾-litre coke with ¼-litre soy sauce and pour it over. Cover with a lid and cook for 40 minutes, turning every now and then. It is delicious with mash and greens. For variety, try braising meat in beer that has gone stale. This works a treat too. You can do many things with old engine oil. For example, seal the bottoms of gum poles before you plant them. Where do you think creosote comes from? Another neat idea is to pour some into a bucket full of sand. Once it has soaked through, store the tips of garden tools in it. They will never rust again and that is a promise. Oil paint is just colour mixed with oil. If you need to paint something that is not normally visible, used old engine oil instead. The sky is the limit when you start thinking oil-wise. These are worth a lot more than the few rand the fitment shop pays you if you think to ask. Over and above the kiddies swings that everybody knows about, there are other uses too. You could hang them vertically and use them as planters. Some folk cut them into strips and used them as rubber straps for chairs and even riempies, while others string them together to make a climbing wall. South Africans are an ingenious lot. Let us turn our brains on too! Every single thing that we recycle instead of throwing it away, means a smaller rubbish dump and less pollution somewhere on the planet. 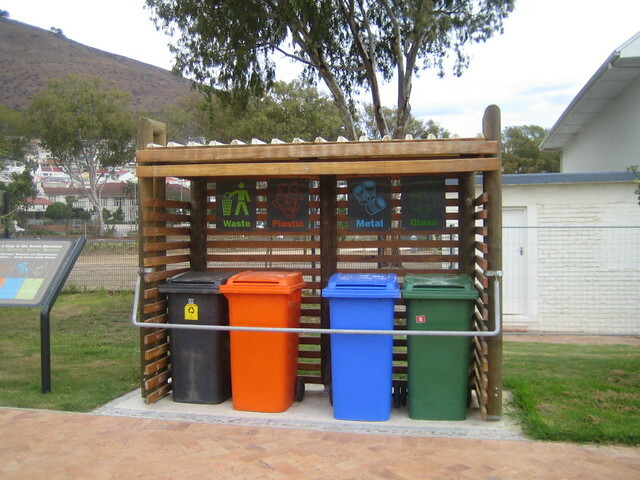 You can walk taller when you care for your country the recycling way. We live in the loveliest part of the world. Let us help preserve it, while saving money as we do.